They say that when the fall season comes around, you can feel a change in the air. This is, after all, the time of year when the temperature starts to cool and the leaves turn stunning shades of red and gold before falling from the trees. In the midst of all this change, we think that it is also the ideal time to switch up your look. This is the season for rich tones, such as reds and deep browns. If you want to co-ordinate perfectly with the pretty falling leaves around you in all of your fall photos, get some inspiration from these 19 gorgeous hairstyles. We might not be there just yet, but it’s never too late to start planning your fall look. 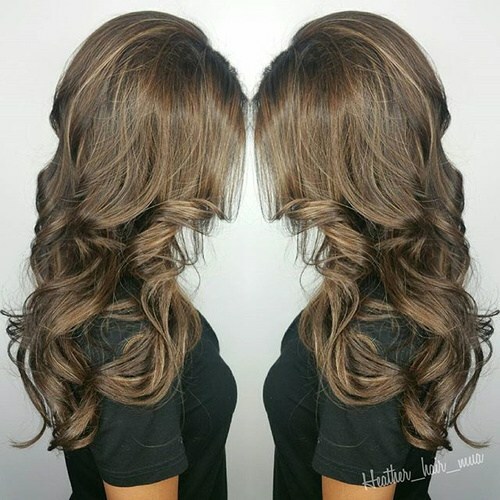 As summer starts to come to an end and the evenings get longer and a little colder, heat yourself up with this warm brown shade. 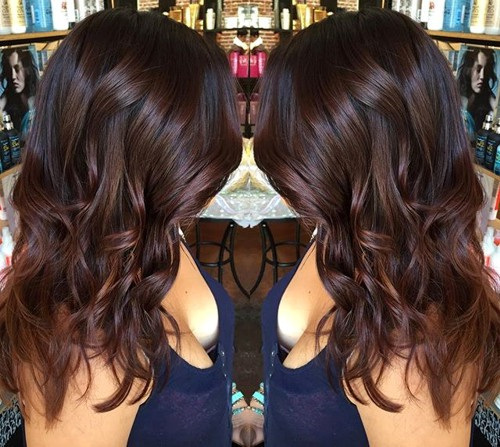 Rich tones like this mahogany brown always make hair look healthy and glossy. 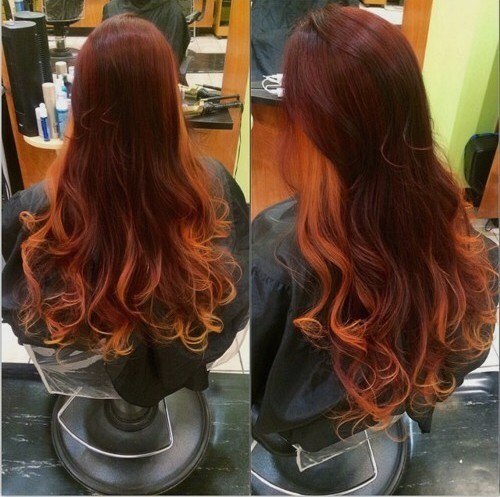 This grungy ombre hairstyle is likely to have you yearning for that colorful autumn scenery. 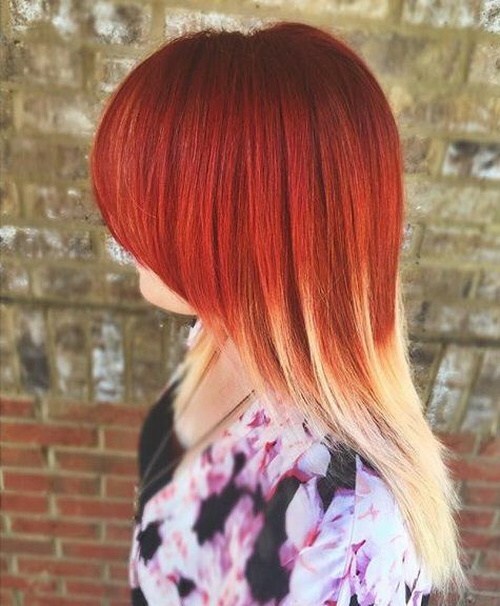 The warm hues of red and blonde give off an almost fiery effect and look completely stunning together. The ombre trend is just about everywhere right now, from the red carpet to the runway and everywhere in between. 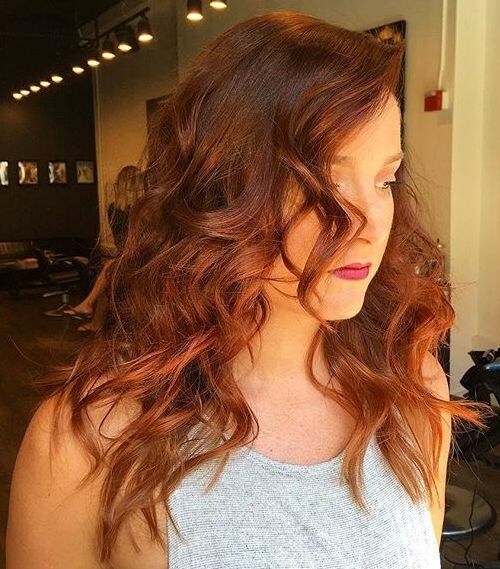 We can guarantee that by the time fall comes around this reddish brown and blonde ombre look will still be as hot as ever. 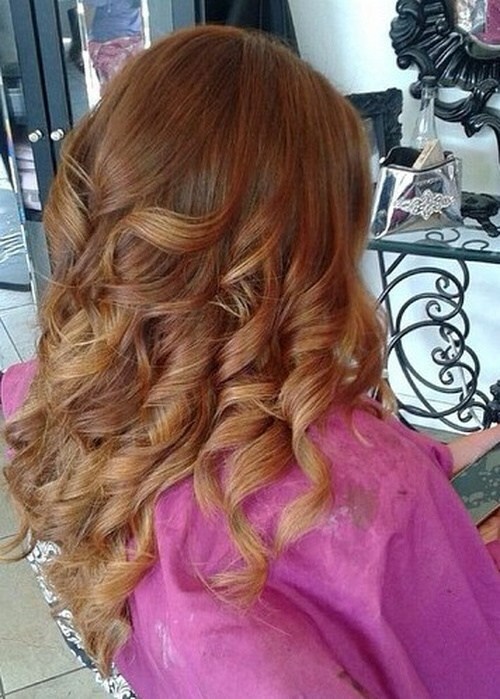 Dress it up for day or night with volumizing curls like these. Fall looks are all about colors gently blending into one another. 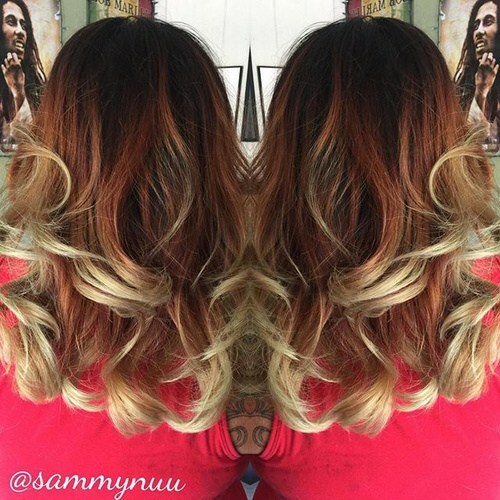 This is exactly why balayage is perfectly suited to this season. 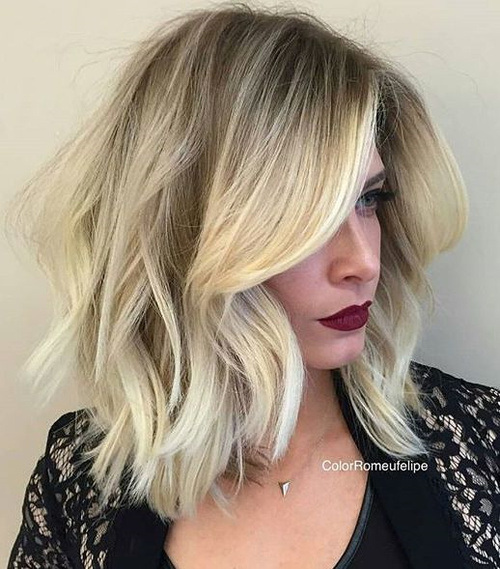 The balayage effect in this blonde hair adds plenty of depth and dimension. The wavy bob keeps the whole look chic and stress-free. If you’re concerned that the arrival of fall will affect your tropical beach babe style, don’t worry. You can keep that summer vibe alive by adding gorgeous streaks of gold to your long surfer waves, leaving your hair looking sun-kissed. 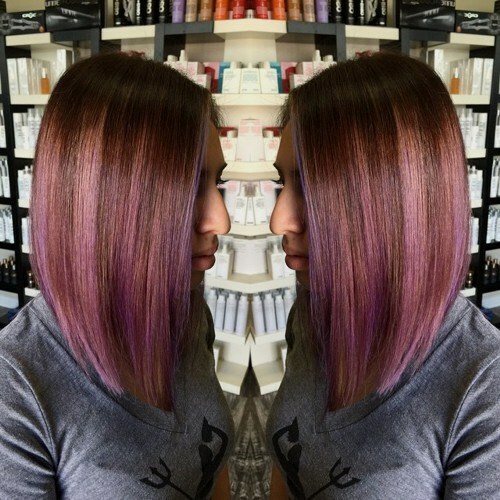 It’s well known that copper tones add a healthy glow to dark hair. 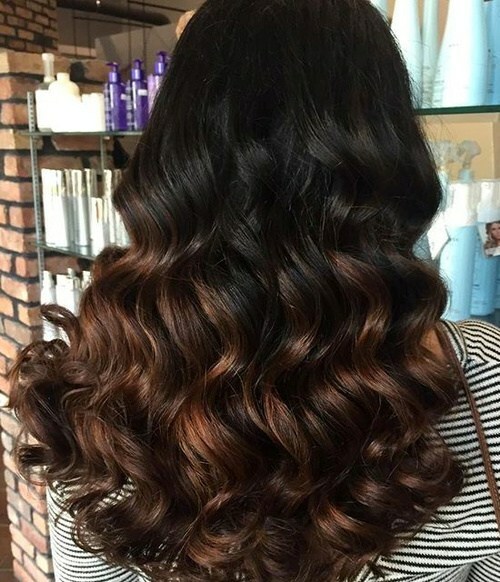 Break up your jet black locks this fall by adding tints of caramel ombre and styling them into big, bouncy curls. Fall is the season for pumpkin spice lattes, gingerbread cookies and crackling log fires. This is why it is also the ultimate time of year to spice up your life and introduce an all-over red shade. 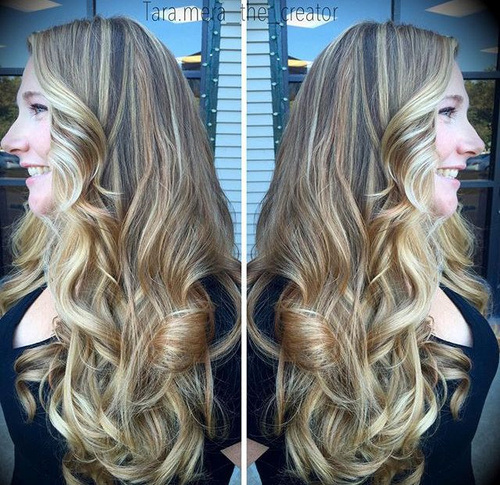 The many different tones in this flowing hairstyle come together to create a delightful caramel blonde effect. Styled into long, princess-esque waves, this is one look that will never go out of fashion, whatever the season. This red hot hairstyle is almost like an optical illusion. 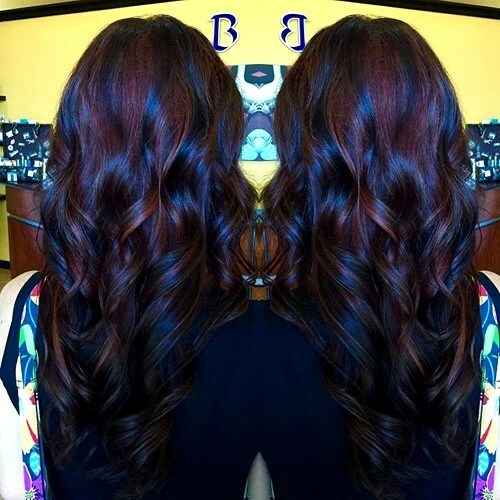 The mixture of dark burgundy and bold ginger works by making hair look even longer and more lustrous than it already is. Blue black hair always looks glossy and in perfect condition, so why not try out a blue tint on other shades too? These ombre curls have been colored to perfection thanks to the very subtle tints of deep blue. Rose gold has been tipped to be the biggest color of 2016 and blunt angled bobs will always be on trend. So, if you love staying one ahead of the style game, treat yourself to this pastel rosy bob this fall. Auburn waves with a deep side part like this one look incredibly sultry, try it out and you’ll find yourself giving off some serious Jessica Rabbit vibes. Girls with fair complexions and cool undertones to their skin will especially suit this hairstyle. Thanks to celebrities like Taylor Swift and Jennifer Lawrence, icy blonde bobs are totally on trend right now. Opting for a hairstyle like this one in fall is guaranteed to make you stand out from the crowd. Red hair is famously versatile. Of all the many ruby hues out there, ranging from strawberry blonde to bright pillar box red, deep cherry can often get overlooked. 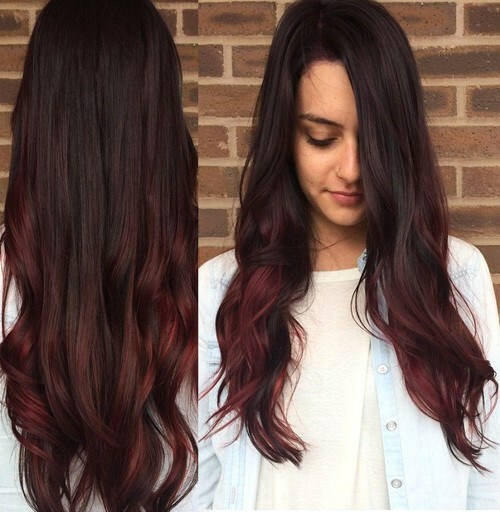 However, autumn is the perfect time to try out this shade on the ends of your long brunette hair. This is great if you want to look creative yet still subtle. The lob (short for long bob) is a flattering haircut that we have seen on the red carpets of Hollywood time and time again. 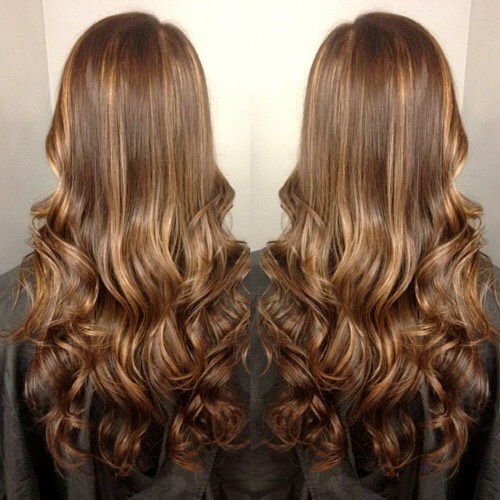 Add some laid-back waves and sun-kissed caramel balayage to make your lob look healthier than ever. 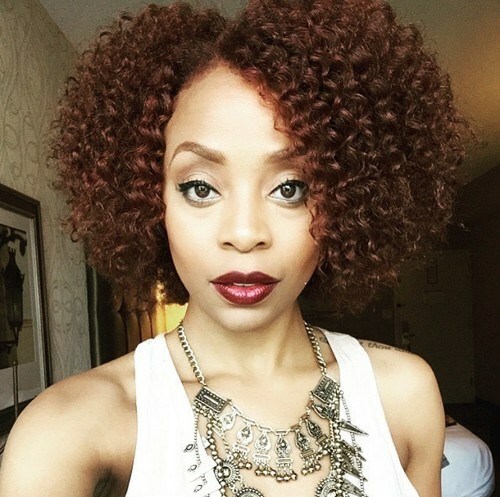 A touch of auburn can be the most flattering color for afro texture hair. 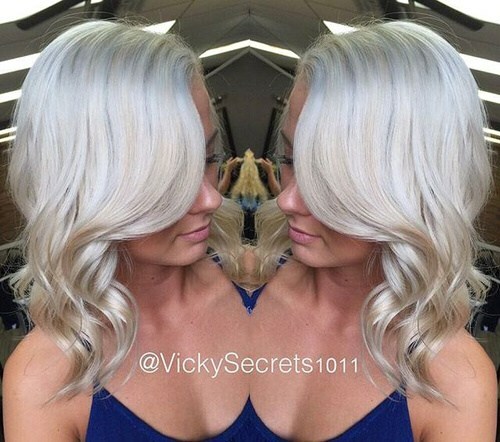 These curls have been cut into a neat, precise bob and really brought to life with some subtle coloring. If ever there was a time to let your hair down and spice up your look with some big, flowing waves, fall is it. 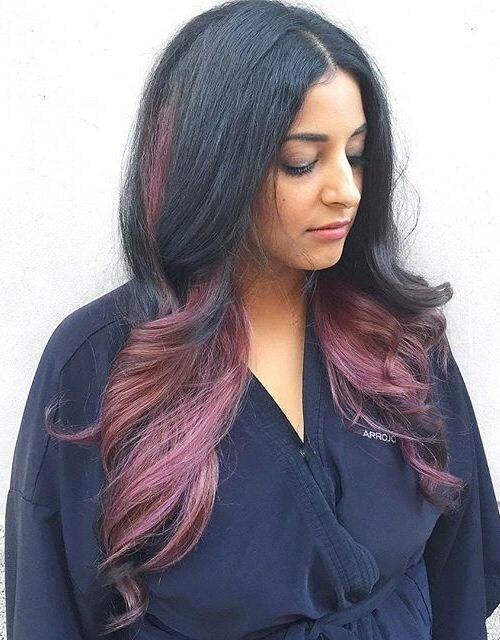 If your hair is naturally all black, you can add some serious depth and dimension by dying the ends this stunning shade of pale pinkish burgundy. Bear in mind that it might take some time and a fair bit of bleaching, but, we’re sure you’ll agree that the finished look is well worth it. Soft ombre, also known as sombre, is set to be one of the biggest hairstyle trends this year. Sombre creates movement and shine particularly effectively in long hair. So, don’t let your color look dull or flat this fall, add some subtle touches of caramel and honey blonde like in this sweet sombre style. 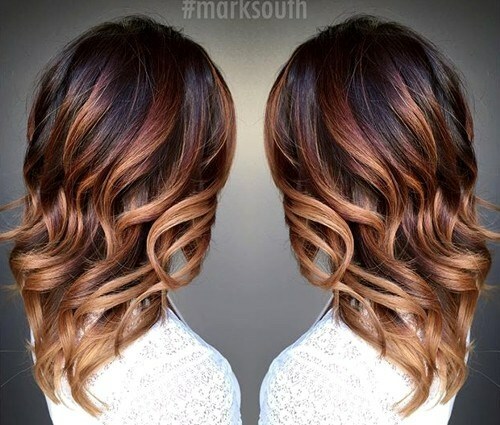 Here is another way to celebrate those auburn autumnal tones this year. 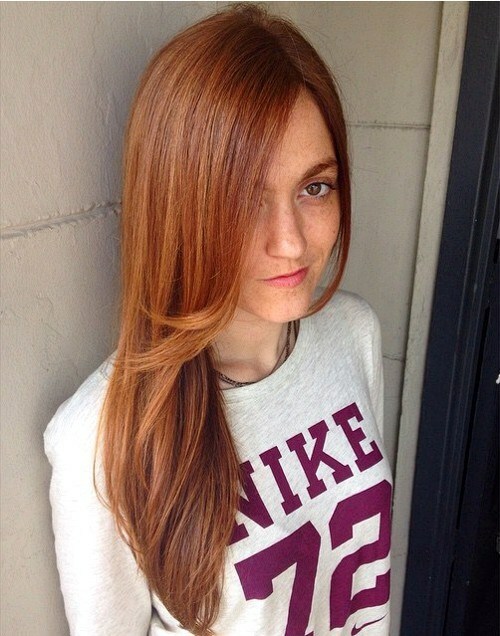 This hair color starts off as a pretty reddish brown and ends up as a sweet chestnut at the tips. Curls create bounce in the hair, making it look thicker and fuller of life than ever.